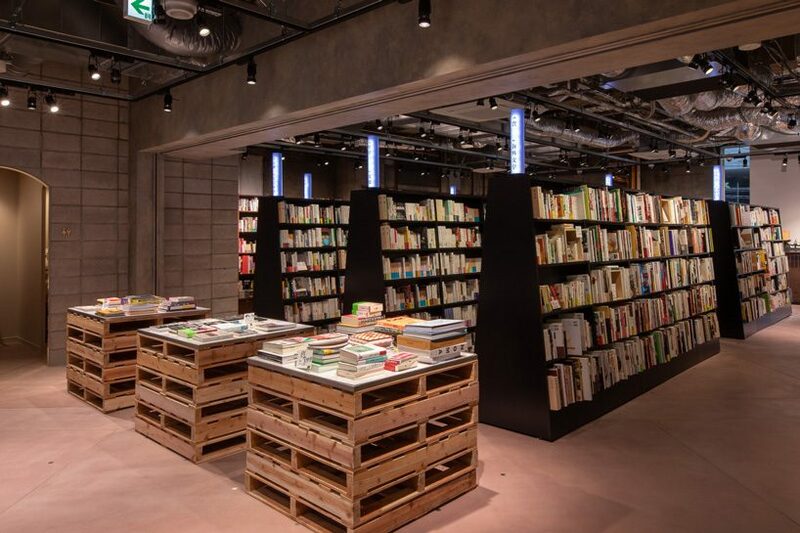 bunkitsu opened earlier this month in central tokyo as a new type of bookstore that charges a 1,500 yen (about $13/ 12 €) entrance fee to its customers. 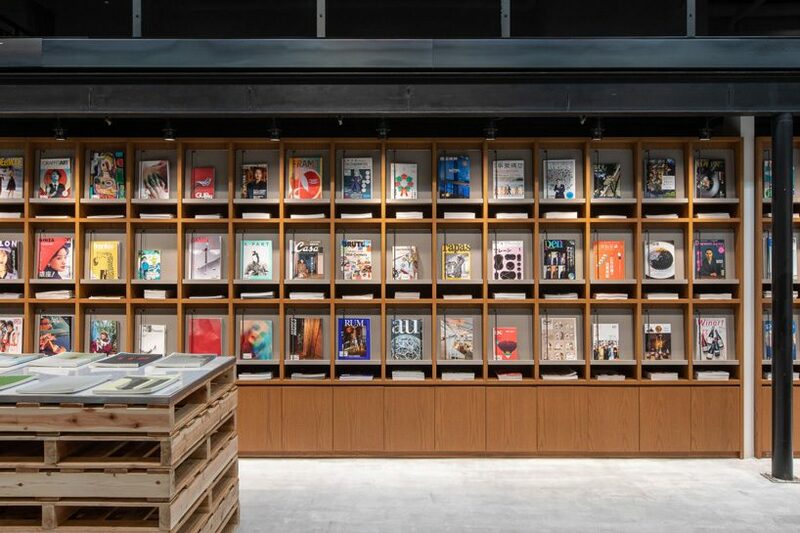 developed as a response to the recent crisis of disappearing bookstores in the city, the space occupies the site of the now-closed aoyama book center, parts of which are still visible in the new interior through the old walls, floors, and fittings that have been kept in place. 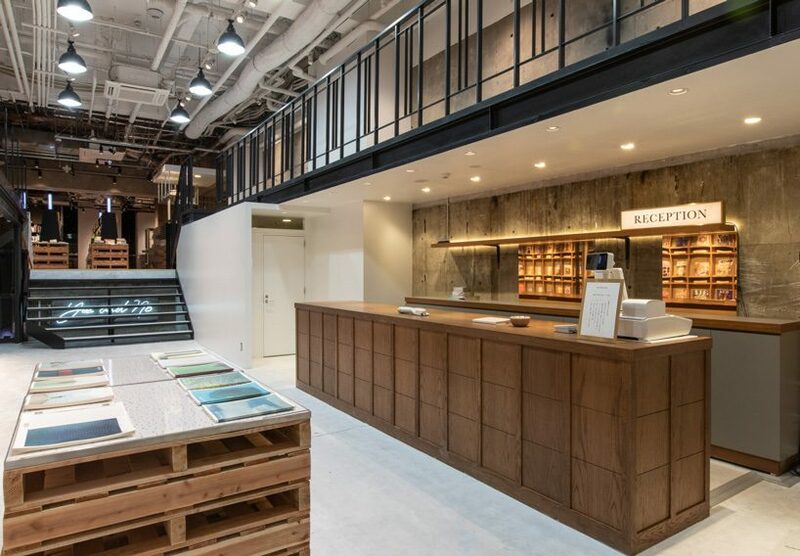 bunkitsu is the collective effort of a group that includes creative company smiles – in charge of graphics and interior design – morioka shoten bookstore and yours book store – in charge of production and book selection. 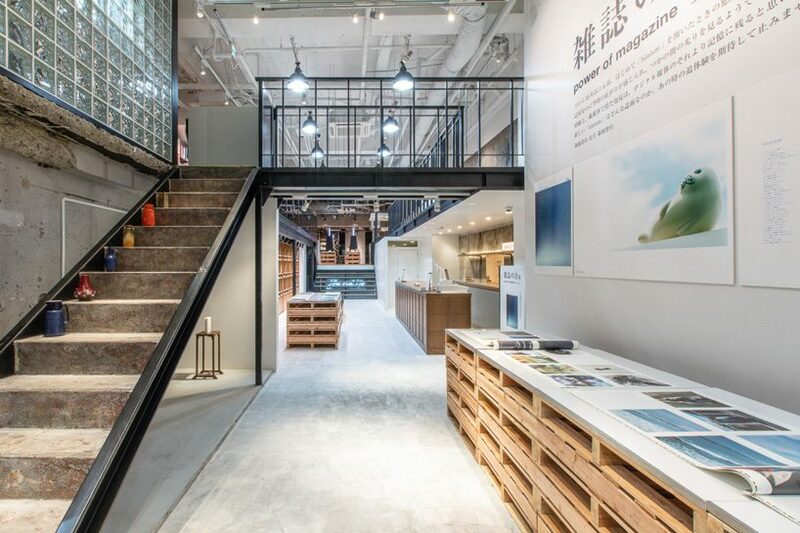 while entering the concrete and wood interior, visitors encounter a room where exhibitions related to books are held before reaching the reception where the entrance fee is to be paid. 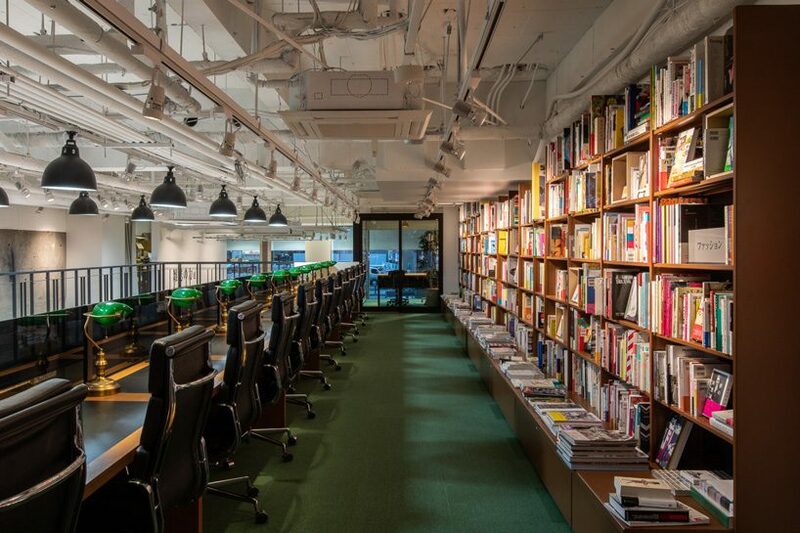 admission is free up to the first floor, where customers need to show their entrance badge to access a curated collection of 30,000 books and magazines that comprises a substantial amount of art, design, culture, and architecture volumes, as well as classic literature and humanity books. 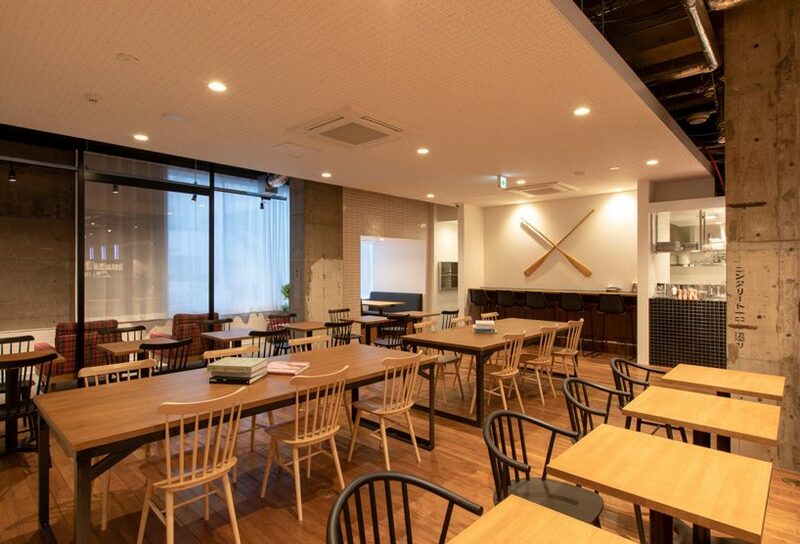 in the café room, visitors can spend from an hour to a whole day with their books while enjoying coffee or tea free of charge, while reading rooms and ‘laboratories’ are offered for those who want to read in silence or work in groups. 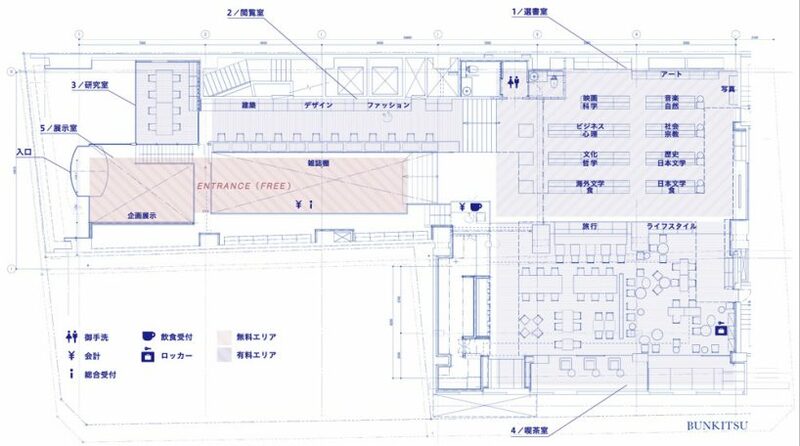 details throughout the space, including signs, leaflets, items in the café and on the floor, are coated in ‘first love pink’, a color the team has named after encounters with books that are marked as first love.